My baby girl, my second child, Luna Rose Silvestri, was born on Saturday, July 14. Five days later, she almost died. There are moments in time you never forget: a magical kiss on your wedding day; finding out you’re pregnant for the first time; watching your 5-day old baby girl lying as still as death in a NICU crib as she’s lifted into an ambulance. Almost two weeks late, she was born at home in the shower of our master bathroom. 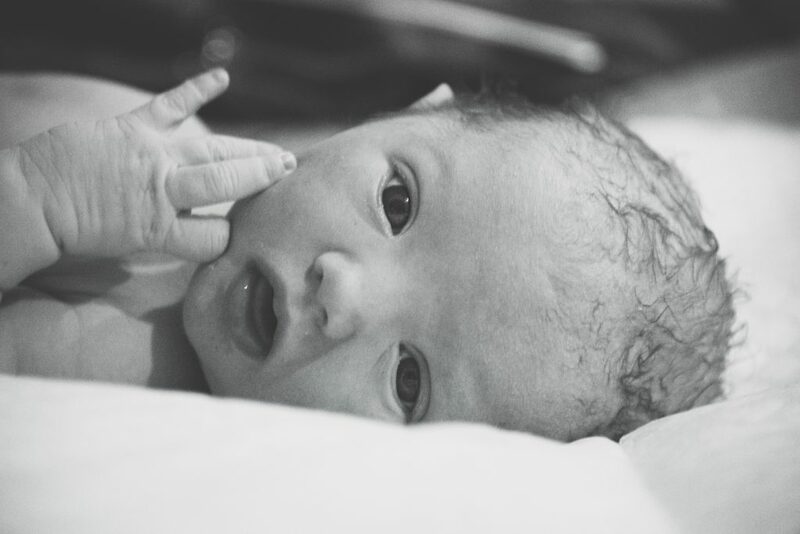 It was beautiful; she started to cry even before she was fully out; she latched and breastfed almost immediately; she even opened her eyes and posed for photos. A healthy 8 pounds, 2 ounces and 20.5 inches long, she was perfect in every way. Luna Rose Silvestri on her birthday. Photo by Stephanie Tann. The next few days passed in a tired blur of breastfeeding, messy diaper changes and sleepless nights. On the fourth night she slept four full hours in her own crib and I awoke semi-refreshed. We snuggled together in the rocking chair, I took a few cute selfies and FaceTimed with my mum in England. When it was time to feed, I noticed she was shaking. It was strange enough that I called my husband, Philip, and had him take a video. It was a little cold in her room, so we wrapped her in a blanket. The shaking stopped and we concluded she must have been cold. We got her brother out of his crib and we all went to the kitchen for breakfast. Luna fell asleep and we put her in her bouncy seat while we ate our oatmeal. When she woke up, I noticed she was shaking again—even though it was warm and she was wrapped in her blanket. We took another video and this time texted it to my midwife, Dr. Teri Mitchell of BundleBorn Midwifery & Pediatrics. Being taken to the NICU at Children’s Health Dallas. “Take her straight to the ER at Children’s Medical Center Plano,” was her reply. We hadn’t even installed her car seat and no one was dressed yet but we managed to get out of the door in minutes. Luna screamed the whole way there. In retrospect, the seizure activity had started days before: a strange fluttering of the eyes and a rhythmic jerking of her head. But it was so brief, gone before my tired mind had even registered it, that we had no idea anything was wrong. She was also extremely lethargic: another warning sign we missed. There was no high fever, no rash, no vomiting. Her breathing was fine. At the ER at Children’s Medical Center Plano, the nurses and doctors did an incredible job keeping us calm as they ran our baby girl through a barrage of tests. First they took her temperature and did blood tests and later, we were asked to leave the room so they could do a spinal tap. I sobbed in the waiting room for a full 45 mins, barely able to breathe and not able to comprehend what was happening. Finally, there was a CT scan and at some point they inserted an IV. Before we knew it it was 3pm and we were being transferred to the NICU at Children’s Health Dallas. I rode in the front of the ambulance while a crew of four paramedics rode in the back with Luna. 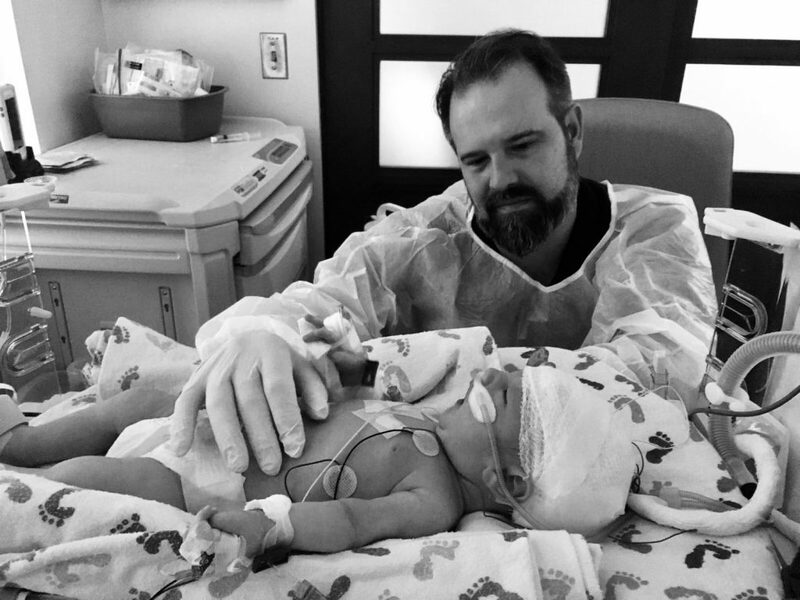 When we arrived and as I hurried to keep up with the crib carrying my daughter, I noticed the ceiling of the NICU sparkled with tiny lights like the night sky and the walls were lined with photos of happy, healthy babies. Then, and for the weeks that followed, I found that comforting. It was an agonising three hours before we saw Luna again. I sat in a daze in the “family room”. I signed check-in papers and was taken on a tour. I was given 20 bottles to store pumped breast milk and told about a NICU support group every Tuesday—both of which I couldn’t fathom staying long enough need. I sent a message to my mum in England asking her to come as soon as she could; She caught the next flight. The next time we saw our baby she was barely recognizable. A cannula in her nose was helping her breath, IVs snaked out of both her tiny wrists and her head was wrapped in thick white gauze—hiding a web of wires that attached to a computer at her bedside. Apart from the soft rise and fall of her chest and stomach, she was completely motionless. “She’s on three different types of antibiotics and two anti-seizure medications,” we were told. No one could tell us what was wrong. The antibiotics were to fight any possible infection and the anti-seizure meds would stop the seizures. The wires on her head were an EEG, monitoring her brain activity with a camera that would correlate it to any sign of a seizure. We stayed by her bedside through the night. In the morning, more than 24 hours after racing to the ER, we finally got some answers. In the midst of medical jargon we were too tired to comprehend, three words stood out: pneumonia, UTI, meningitis. We were choked with fear. While I knew nothing of the implications of a UTI in a newborn, I did know that pneumonia could be fatal and that the meningitis can lead to paralysis, hearing loss and death. The infections were as a result of contracting GBS, Group B Strep, from me. According to the American Pregnancy Association, GBS is a bacterial infection found in about 25% of all healthy, adult women. To the woman it is completely harmless. To a newborn it’s potentially fatal, which is why, towards the end of pregnancy, women are tested for it and given antibiotics during delivery if they test positive. My test was negative. Yet, sometime between being tested and delivering Luna, I became GBS positive. Fortunately, the antibiotics were already fighting these dangerous infections. 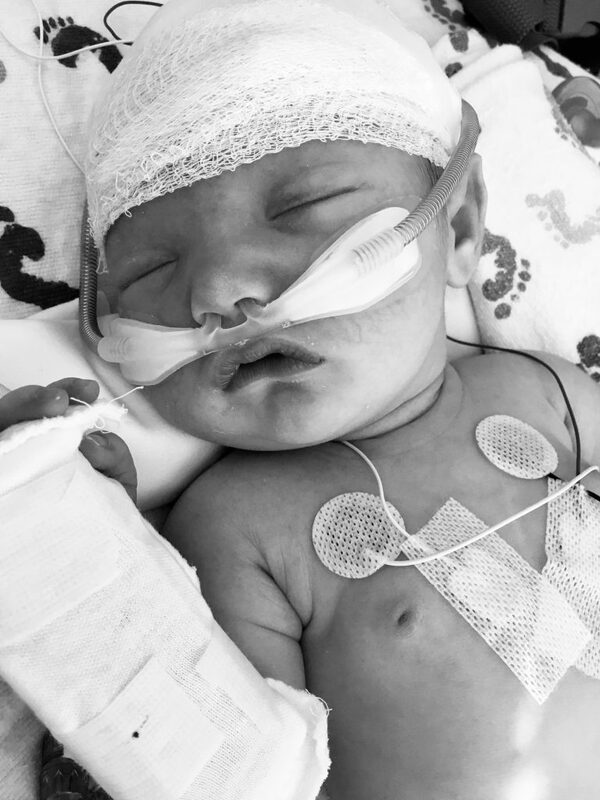 Over the next few days, Luna began to improve; her seizures stopped and she was taken off the EEG; her breathing improved and the cannula was removed; she became strong enough to feed from a bottle. With tears in our eyes and shaking with joy, we were allowed to hold her. At one point, a nurse told me that she’d never seen a case of GBS meningitis caught so quickly. 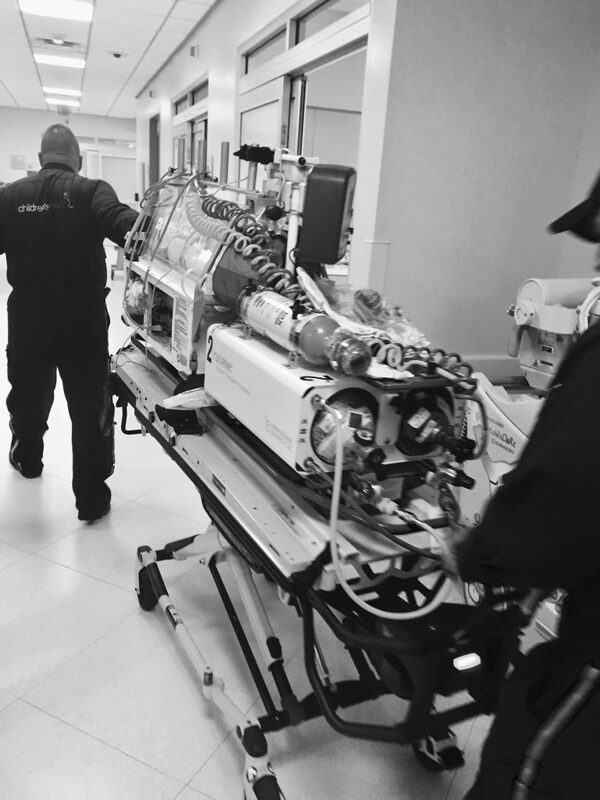 At the same time, she was constantly attached to the monitors and her medical care continued: she had an MRI, another spinal tap, and was given antibiotics via an IV and eventually, a PICC line. She was accessed by neurologists, physiotherapists, a speech therapist, an occupational therapist and had daily checks with the doctors. Miraculously, and although she will continue to have check-ups and have her development closely monitored, there seems to have been no lasting damage. After 15 days, we were allowed to take our little girl home. 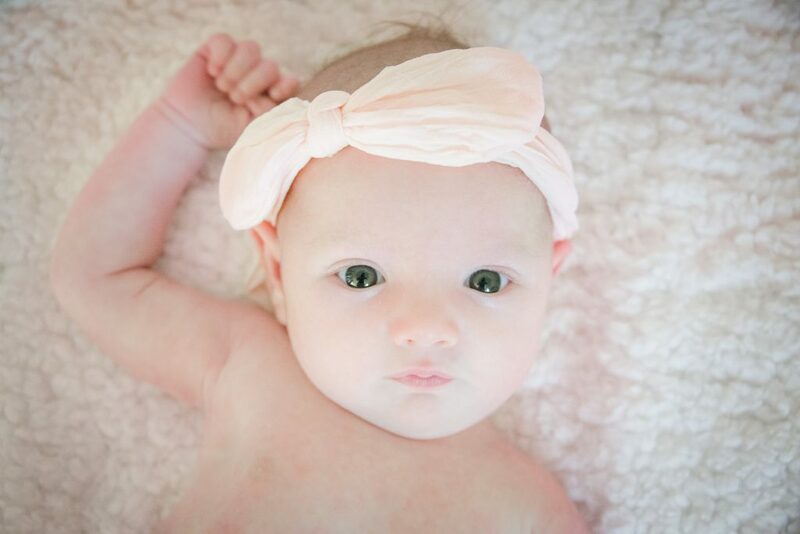 Healthy and at home, Luna Rose Silvestri at six weeks old. Photo by Stephanie Tann. Philip and I are so incredibly grateful for the care we received from Children’s Health, both in Plano and in Dallas. The nurses and doctors were amazing. They took incredible care of Luna while also keeping Philip and I as comfortable and updated as possible. We are also so blessed and thankful for the love and support we have received from our community; from the gifts, cards and well wishes to the food train organised by the Plano Profile team. Thank you to you all, there are no words to express how truly blessed and grateful we are.